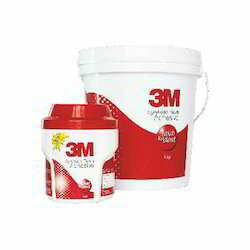 Pioneers in the industry, we offer 3m synthetic resin adhesive, marine adhesive and 3m heavy duty 20 spray adhesive from India. 3MTM Synthetic Resin Adhesive is water based adhesive that bonds wood, plywood, laminates, veneers, particle board and MDF to each other. It is a recommended product for bonding two materials where either of the material is porous in nature. 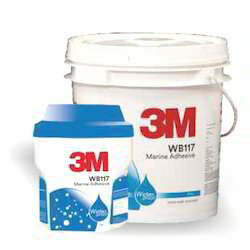 3MTM WB117 Marine adhesive is a new introduction to the 3M synthetic adhesive range that offers higher resistance to humidity, temperature and other tough weather conditions. An extension of D2 range of adhesives. For usage in conditions with occasional exposure to running/condensed water. Complements well with usage of marine ply to withstand tough weather conditions. Can be easily used in areas with occasional exposure to water i.e. Kitchen cabinets, AC rooms etc. Spray nozzle has three spray settings for three different spray patterns: Low (L) for substrate width equal to or less than 1 inch, Medium (M) - For substrate width greater than 1 inch & less than 3 inches, High (H) - For substrate width greater than 3 inches. Looking for 3M Adhesives ?